Los Angeles: Legendary filmmaker James Cameron says he still stands by his remarks on Patty Jenkins's Wonder Woman and feels the film portrayed Gal Gadot as an "objectified icon" and was a "step backward". 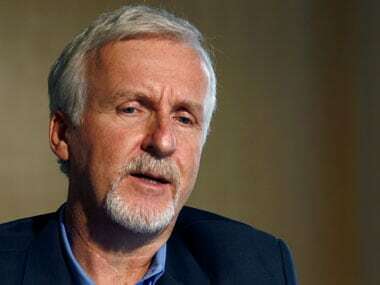 James Cameron. Image from Reuters. In August, the Avatar director said in his original critique of Wonder Woman that the movie was a "step backwards" for women in Hollywood. "Yes, I'll stand by that. I mean, she (Gadot) was Miss Israel, and she was wearing a kind of bustier costume that was very form-fitting. She's absolutely drop-dead gorgeous. To me, that's not breaking ground," Cameron told The Hollywood Reporter. "They had Raquel Welch doing stuff like that in the 1960s." It was all said in the context of talking about why Sarah Connor — what Linda created in 1991 — was, if not ahead of its time, at least a breakthrough in its time. I don't think it was really ahead of its time because we're still not (giving women these types of roles)," added Cameron, while citing the example of Linda Hamilton's character, Sarah Connor, from his popular Terminator franchise.